Klymit pads are lightweight and inflate incredibly easy, so they’re ready to be packed into an overnight bag and hiked up a mountain. 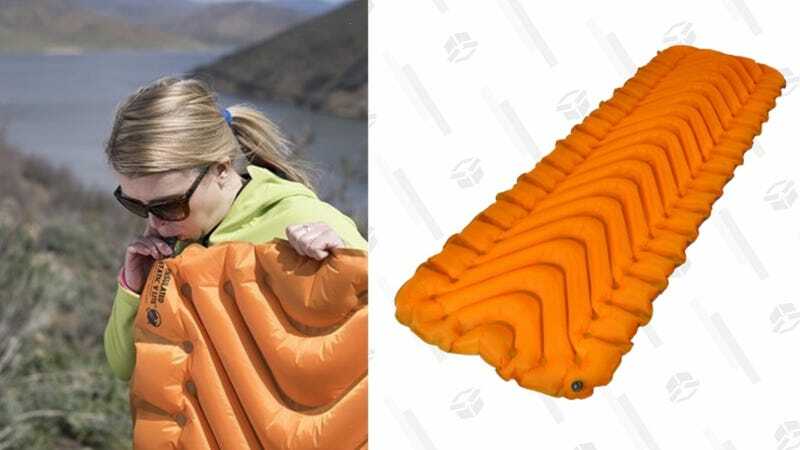 And right now, Woot is running a sale on the insulated Static V pad, which is great for all seasons. That’s $25 less than Amazon, but it’s only available today, so don’t sleep on it.